JAY SEAN GOOD ENOUGH LYRICS"
Would I be Good Enough For You ? 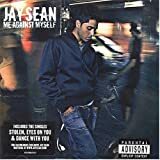 All Jay Sean - Good Enough lyrics are property and © copyright of their respective owners. All Good Enough lyrics provided for educational purposes only.